In the text, we saw that. In the [lecture/conversation], we heard that..
As the [text/student/professor] says, . But on the other hand,. What I mean to say is that. To put it another way,. The woman expresses her opinion about the plan described in the article. Briefly summarize the plan. Then state her opinion about the plan, and explain the reasons she gives for holding that opinion. The [man] is of the opinion that. The announcement told us that next year, students will have to pay to park cars—that is, park near the class buildings, specifically. People will need to register their cars in order to park there. But one of the students… the man in the conversation… he believes that it’s a bad decision. He says that the university isn’t going to make money, because the money students pay will be spent on additional security to check that cars in the lots are uhh, paid for… I mean, that they’re registered. More importantly, he believes that students will be upset, and although the school will write tickets to punish unregistered cars, the students aren’t, uhh, aren’t gonna pay them. Basically, the student is of the opinion that the school is going to create dissatisfaction without gaining anything, while they could instead just keep the current system. According to the text, there’s a new policy on campus parking, and students are gonna need to register their cars. What’s more, they’ll have to pay a fee to be allowed to park in the lots near the classroom buildings, and, uhh…. the reading states that the fee is going to provide extra money for the school to spend on building more parking lots. But the male student, on the other hand, disagrees that the school will actually be able to earn any money. He claims that the expenses of the new registration system, will… are gonna cost too much, so in his eyes the registration system can only create problems. While the text says that students who don’t register will be fined, the student points out that security won’t know who unregistered cars belong to, so he claims that people won’t pay the fines. Using the examples of North American English and Jamaican English, explain what is meant by “stress timing” and “syllable timing” in languages. In the reading, we get a general definition of “syllable timing” and “stress timing,” which are ways to describe how a language sounds when it is spoken. In other words, they are categories we can put languages in based on their rhythms. The professor illustrates the difference with the examples of Jamaican English and standard North American English. The lecturer states that Jamaican English speakers, for instance, don’t, uhh. they don’t stress individual syllables very much. Instead, they… well, they stress each syllable the same, whereas North American English speakers, do the opposite, according to the professor. I mean, they stress some syllables extra. So basically, that makes the language stress-timed, because the speed of a sentence changes based on how many stresses there are. The text introduces the topics of, uhh…, of two different types of language rhythm. It basically just defines the two, which are, um, either with emphasis on every sound or only on some sounds. One concrete instance of this, uh.., according to the professor, is North American English. What I mean to say is that North American English has emphasis on only some sounds, and so the syllables in between go faster. On the other hand, the professor explains languages with the other timing by describing Jamaican English. In Jamaican, the sounds all get similar emphasis, and, more importantly, the speed of the language depends on how many syllables there are. unlike, as the professor says, North American English, which depends on how many emphasized sounds there are. The final two speaking tasks are about recordings that you will need to listen to carefully. Similar to tasks three and four, reporting speech is important. 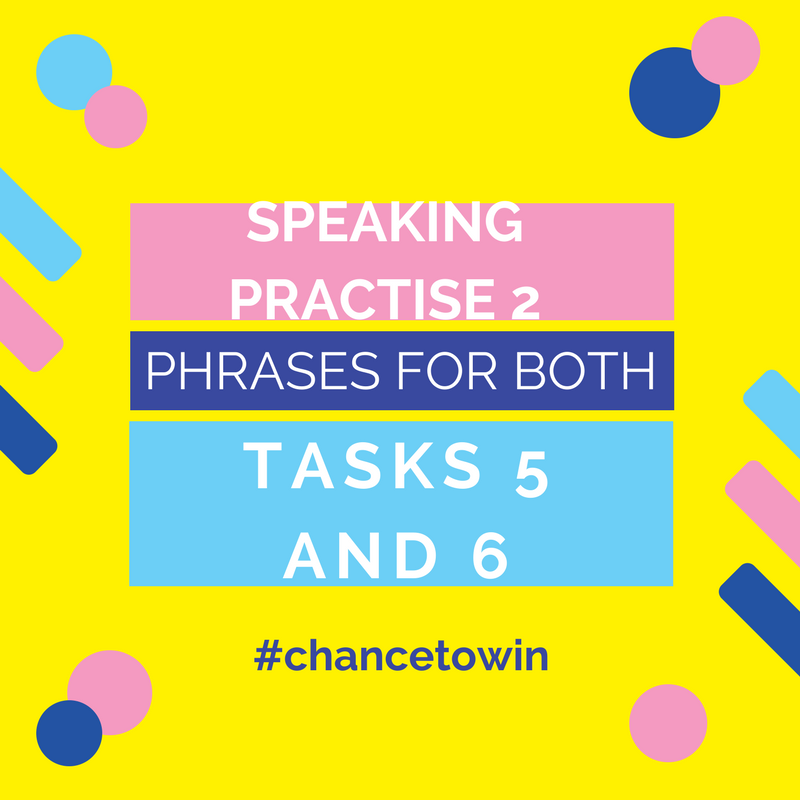 Task five also includes your opinion, so some of the same language from tasks one and two can also be used there. Task six is very similar to task four, except it describes the relationship between two ideas or phenomena—whereas task four sometimes gives two specific examples of just one idea.